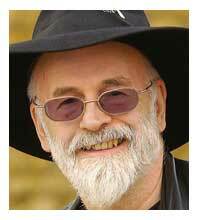 Sir Terry Pratchett has sold over 55 million books world wide. He has recently received a knighthood, in1998 he received an OBE for services to literature and he has received 6 honorary doctorates from a verity of universities. In December 2007 Terry revealed he had been diagnosed with a rare form of Alzheimer’s, in which time he has written two best selling books. Since his diagnosis, he has made a public donation of £1 million to the Alzheimer’s Research Trust and filmed a programme to record his experience with the disease for the BBC.